Some of the most talked about agreements recently are the ASEAN Economic Community (AEC) and the Trans-Pacific Partnership Agreement (TPPA). Although AEC can simply mean Southeast Asia, it has made “ASEAN” a buzzword that reflects a larger community and even larger market opportunities. And what about TPPA? According to the Ministry of International Trade and Industry (MITI), it is the 14th Free Trade Agreement (FTA) signed by Malaysia and it has raised some attention because the leading signing parties are those of a stronger footing such as the USA and Japan. Businesses have also voiced concerns whether by being part of this Agreement will put Malaysian businesses at a disadvantage, more so the SMEs. Given that it is still a relatively new topic, there are many questions being raised. This includes how transparent will the contents of the Agreement be to the public, policies relating to foreign investments, intellectual property rights and the potential effects of giant financial corporations entering Malaysia’s financial systems. Questions were also asked about issues surrounding health, the environment and our freedom of access to the Internet. From the tour and travel sector, MATTA Deputy President Rohizam Md Yusoff highlighted some critical questions. Firstly, with the exposure to the foreign players, how will our local hoteliers and F&B operators cope? Can they withstand the pressure and survive? If there is an overdevelopment, can our local tourism sector prosper? What about our multicultural society, how will it be affected? With more questions being asked and with no clear cut answers just yet, Rohizam feels, and especially for the business people, the right way forward is to always “think positive”. Given the issues above, Suara MATTA spoke to Syahril Syazli Ghazali and Wan Wadrina Wan Abdul Wahab, both Senior Principal Assistant Directors at the Strategic Negotiations Division of MITI and Guna Seelan Balakrishnan, Principal Assistant Director of ASEAN Division at MITI, to get a clearer picture of the Agreements and understand what is true, fact and accurate. 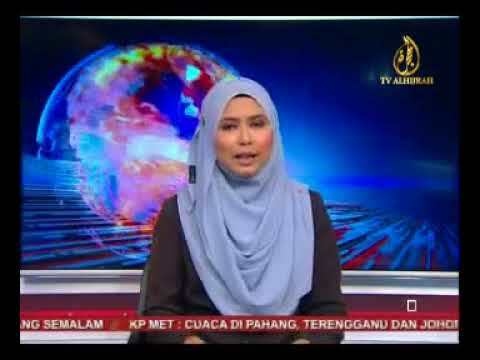 Suara MATTA: What is the main difference between AEC and TPPA other than the locations of the member countries? Guna Seelan Balakrishnan: The ASEAN Economic Community (AEC) is aimed at creating a single integrated market and production base among the ten nations in Southeast Asia or to become a single economic entity. The main objective is to reduce barriers to trade, services and investments in the region to allow for seamless movement of goods. It is also aimed at allowing for freer mobility of skilled workforce and capital within the region. The TPPA on the other hand is a free trade agreement among twelve willing partners, which include four ASEAN Member States. It is a partnership agreement that confers preferential treatment among its members and has the long term objective of fostering open trade and greater economic linkages among the participating countries. The scope of the TPPA builds on the issues covered by the WTO (World Trade Organisation) and other free trade agreements and includes new issues such as State-owned Enterprise, Labour, E-commerce and SMEs. Membership is open to APEC (Asia-Pacific Economic Cooperation) economies but other countries can also be considered. The AEC and the TPPA are not competing regional agreements. The participation of some ASEAN Member States in the TPP is aimed at securing markets for their exports and Malaysia’s participation is in line with the objective to become a major trading nation. SM: What does these big numbers mean to the tour and travel industry in Malaysia? Syahril Syazli Ghazali: It’s business related tourism, more potential investors and more seminars. In TPP for example, we have the advantage because we have cooperation with countries like Mexico and Peru. Other than promoting trade and investment, people in the tourism industry should also take advantage because we expect a lot of movement from businessmen from that part of the world. Take for example AFTA (ASEAN Free Trade Agreement), after we signed the agreement in mid-2000, we can see the traffic increased between the community, public and business people among the ASEAN member countries.Just five to ten years ago, there were very few Malaysians who visited Vietnam or Myanmar but now this is very common. This is part of the benefits of AFTA and now AEC. Indirectly, it’s not only the business people who can enjoy such advantages but also the public. The impact of such economic integration can now be seen in the F&B industry, for example ayam penyet from Indonesia is now in Malaysia and Malaysia’s nasi lemak and kopitiam-style cafe are in Indonesia. SM: What does it mean by being “offensive” and what kind of impact can we expect from it? SSG: Let’s take a very simple example, palm oil product where Malaysian exporters need to pay 7 to 11% import duty. Our neighbour Indonesia also need to pay the same import duty. But by being a TPP member, our trading partners will eliminate or reduce their import duty for us. So indirectly, our products will be more competitive compared to our neighbours in this region. This is the main element of joining the TPP but having said that, in order for you to penetrate the market in the US for instance, you need to have a high standard and you need to comply with certain standards. In this sense, for us and our companies here, we need to move up the value chain and improve the way we produce our products. The government decided to sign the TPP and to be involved in this agreement because it wants to provide a better platform. Being one of the pioneer members, we can set the rules with consideration of our limitations before it becomes a concluded agreement. This is called the First Mover Advantage. You will not have this opportunity if you join later by which time, you will have to follow, comply, convince and lobby for your things to go through. Wan Wadrina: In Malaysia, we are a country that is totally reliant on trade. So for us, the main concentration is about penetration into the markets especially like Mexico, Canada, Peru and the US. That’s where we are looking to export our E&E (electronics and electrical) products, plastic and also rubber. So, when the TPP comes into force which we hope is in two years’ time, that’s 2018 at the earliest, we would enjoy zero or lower duty. It’ll be cheaper for our exporters to export their goods and that’s our main offensive. From the perspective of a consumer, it’s about the variation of goods; it’s not necessarily cheaper but at least you have more varieties to choose from. Another way to look at TPP’s plus points is through the car industry. It is not a single country that actually makes a car. The components come from various countries and so for us in Malaysia, we want to be part of that global supply chain. That’s why we need to actually come together into this process to be part of it. In a way, it becomes like an exclusive club and when you’re part of the exclusive club, you’re part of the member; you can tap into the opportunities that are presented among the TPP countries. SM: In the 21 Working Groups, what are some of the areas where the working group will be related more closely to the tour and travel industry? Wan Wadrina: I would say Investment because one can invest in a hotel or agency. Another is Services because that’s where they actually provide the disciplines. For us, the tour and travel industry is predominantly considered a services industry. So we have disciplines to ensure there is a level playing field and opportunities given to each country. Capacity Building is also an area where we can ask the TPP members as to how Malaysia can penetrate or how we can further improve ourselves. This is where we can actually seek developed countries like the US and find out how to make Malaysia a preferred and enticing destination for a holiday. Then there is also the Non-Conforming Measures (NCM), which is related to Investment and Services whereby it provides you the information and to the foreigners the conditions that we have when they want to invest or provide services in Malaysia. Under the NCM we also have one very specific non-conforming measure for tour guides in Malaysia. It stipulates that foreign tour guides actually can’t provide their services here. The only exception is if there’s a critical language need like when you have a Russian tourist coming in, then they may only consider allowing the Russian tour guide to come in to help and facilitate. Towers has. 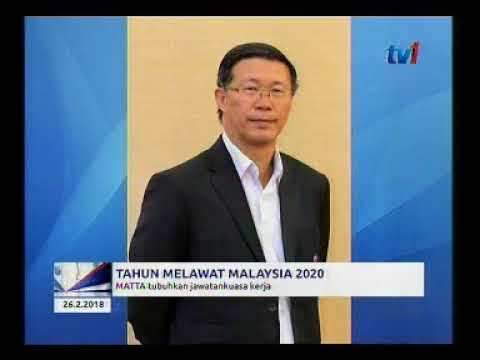 It will also make Malaysia a business hub in Southeast Asia, especially for visitors from the Americas. 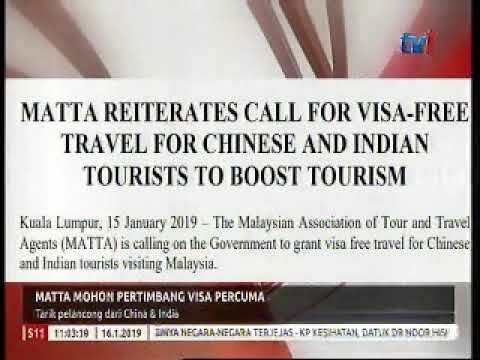 That’s not all, Malaysia’s tourism sector willstand to benefit from this because it is usually apractice for business people visiting a country to also visit the touristy hotspots. Case in point, visiting delegates from Peru who have re-visited Malaysia a few more times after their official meetings as pointed out by Wadrina. They came here for their holidays and some have brought their friends along. Another way how Wadrina sees the TPP can contribute to the domestic tourism industry is the opportunity to discuss and brainstorm for better tourism related ideas with the Peruvian representatives. 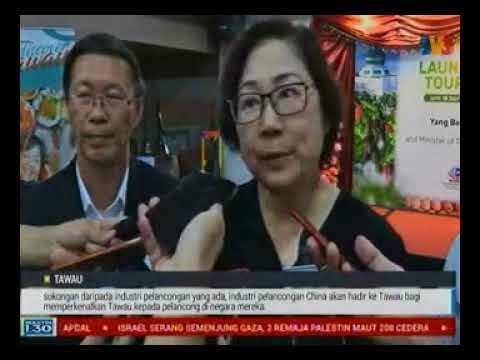 She said this because tourism is a large part of Peru’s economy and with this, it will be able to recommend tried and tested formulas for our Malaysian tourism players. In terms of the SME, the TPP has established a Chapter dedicated to promoting the interest of domestic SMEs. Under the Chapter’s policy for example, a website will be setup as a portal for the SMEs. This is where it will display all the information necessary for the domestic SMEs and in turn will help facilitate opportunities between companies from across the partnering countries. Other than trade, the TPP will also be upholding and promoting ethical business practices through the Anti-Corruption Chapter. Members who are affected by unfair practices can raise a case to the Chapter to protect their business position. Enforcement will be done in accordance to the guidelines in United Nations Convention Against Corruption (UNCAC). Although the TPPA is led in a big way by the economically larger countries, Malaysia is not sitting back. From the painful experience of the Asian Financial Crisis in 1997, we have taken a more aggressive approach to promoting the Temporary Safeguard Mechanism into the TPP. The purpose of the Mechanism is to ensure foreign investors do not suddenly withdraw funds from a country because it will destabilise the financial system in the process. Such a prevention mechanism helps the partnering countries to be more financially stable and secured. As discussed above, both the TPPA and AEC come with very different scope, dynamics, ambition and geographical locations but by being part of it will help Malaysia operate and move together with the more advanced countries. It is also beneficial because some of the member partners are part of top league nations in the OECD (Organisation for Economic Co-operation and Development) such as the USA, Japan, Australia and Canada. Other than just expanding our potential target markets, such Agreements are opportunities for us to raise our game to play in the same field as the top-flight nations. The question now is, are we ready to take this on? AEC is part of the broader objective of an ASEAN Community. It is also aimed at narrowing the development gap among Member States and promotes equitable economic development, thus creating a rich ASEAN that will uplift the wellbeing of the people in the region. The ASEAN economic integration is a work in progress and the AEC has now entered into its second phase in ASEAN’s efforts towards deepening and broadening the region’s economic integration. The first phase of the integration namely AEC Blueprint 2015 covered for the period of 2008 to 2015, while the AEC Blueprint 2025 covers the period 2016-2025. Australia, Brunei, Canada, Chile, Japan, Malaysia, Mexico, New Zealand, Peru, Singapore, United States, Vietnam.